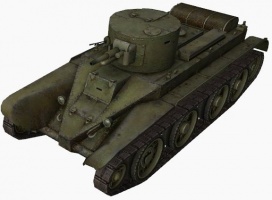 The BT-2 is a Soviet tier 2 light tank. 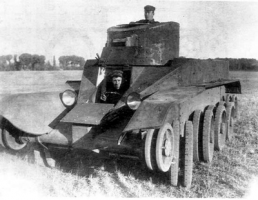 A U.S.S.R. wheeled caterpillar tank developed in the 1930s. 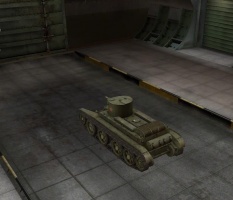 The first vehicle of the BT light tanks. 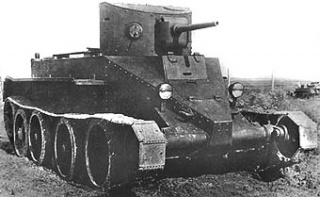 The tank was based on the U.S. Christie M1931 (Model 1940), but differed from its peer in various design solutions, and had higher speed and better mobility. 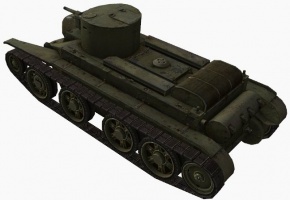 A total of 620 vehicles of different modifications were manufactured. 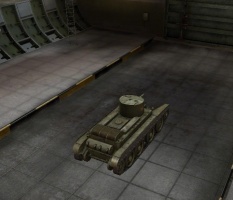 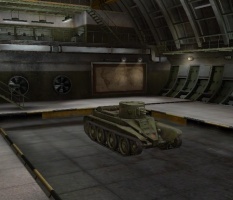 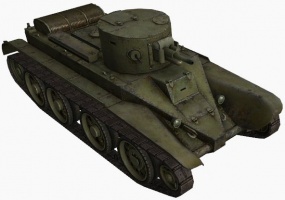 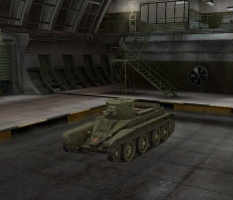 The vehicle with a new engine and elliptical turret featuring a 45-mm gun was designated BT-5. 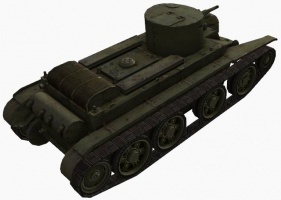 A total of 1,884 vehicles of this type were produced. 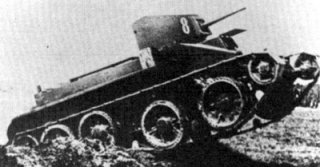 Some of them were exported to Spain, others participated in the battle of Khalkhyn Gol, Polish campaign, Winter War, and Second World War. 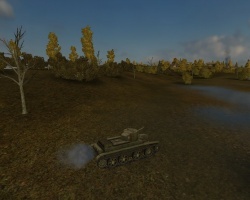 The BT-2 leads to the BT-7.